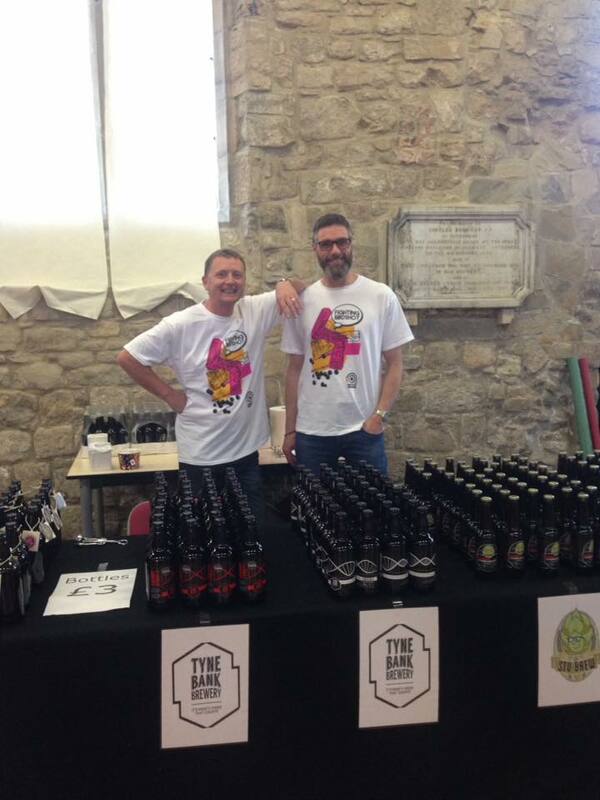 Clare Wood from Newcastle held a beer festival for us, and above and below are a few pictures that set the scene. By all accounts it was a very jolly occasion for fellow birdies, their friends and families and work colleagues. BUS hopes that this might become an annual event, like the Birdshot Shoot. Despite the massive amount of work Clare put in organising it, she has already said she will be in touch next year when (we hope) she may do another one! 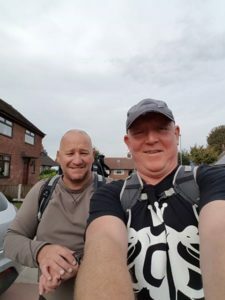 Barrie Standish and his friend John are two keen fitness fanatics in the North West of England who thought they could easily manage a 52-mile stroll for birdshot. 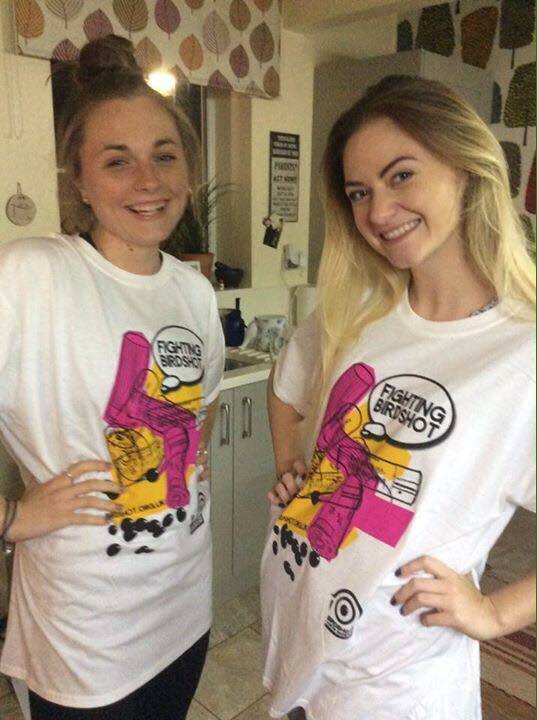 The aim was to promote the eye condition and raise a bit of money along the way. On Friday October 21st, just after lunch, they set off on their route. They walked from Glazebury, going through Lymm, Knutsford and Holmes Chapel. They walked 26 miles out and returned the same way. They set off at a brisk pace, and by evening time it was obvious that they would be walking through the night. It was not as easy as they had imagined. But we say: watch this space! 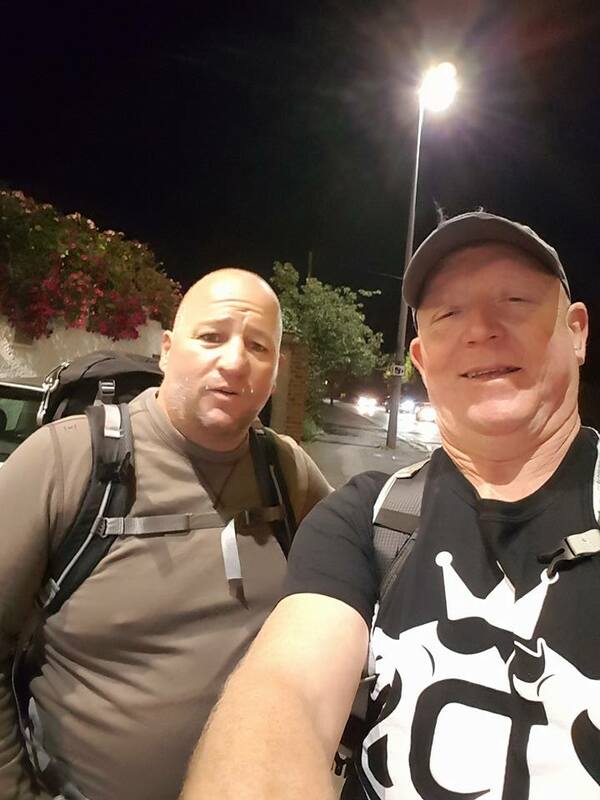 Barrie raised nearly £1,000 from his walk which is a fantastic total. What a fabulous couple of fundraising events from the north of England! Thank you all for your great efforts. BUS will be putting all the money raised from these two events towards future birdshot research. This is the 3rd post on the subject of nutrition supplements and eye health from BUS member Nick Bucknall. Here he talks about supplements that he believes are helping his eye health and Birdshot Uveitis. To back up his ideas he provides links to related research papers. “A balanced diet rich in fresh ingredients should provide most of the vitamins, minerals and trace elements needed for good health. But some of us are getting older or recovering from an illness, or have a natural imbalance, and we also have to deal with the side effects of medication, so if you wish to supplement your diet, here is a list of supplements I have tried and found to be beneficial. NOTE: The process of extracting the active ingredients from natural sources in order to manufacture dietary supplements may reduce their efficacy so make sure they are as fresh as possible. Saffron is widely used in some parts of the world to treat a variety of eye conditions. I find it gives a rapid improvement, reducing floaters and blurring within hours! It can be added to food as a cooking ingredient or added to tea or coffee. Put a little in the bottom of the cup and soak for a minute or two in hot water before pouring tea. Saffron is expensive but you only need a pinch in each cup – a gram (about £4.50) should last up to 2 weeks. Here are links to 3 research papers about the benefits of Saffron for the retina – the part of the eye which is damaged by Birdshot. Turmeric (Curcumin) is a traditional remedy for uveitis and can either be used as an ingredient in cooking or can be taken in a capsule. It takes a few weeks to produce results but is very cheap. Psyllium husk is a natural product derived from plantain and is a dried source of fibre which slows digestive transit, protects the stomach lining and improves digestion. It can be taken as a food additive or in a drink – I take it with fruit squash and aloe vera juice. Some anecdotal evidence has suggested that gastric problems may be a trigger for Birdshot and this has also been mentioned by my eye specialist. Aloe Vera juice is another natural anti- inflammatory. As well as helping digestion, it is also good for skin problems, digestive irritation and indigestion, all of which are common side effects of prednislone. NB also see comments below. I take all these on a daily basis and feel that the results make it worth the trouble and expense – I have been in remission without any medication for nearly 2 years. But I still pay close attention to my diet – supplements cannot be a substitute for a good diet. This is the 2nd article in a series of 3 about food and supplements by BUS member Nick Bucknall. Below he lists some tips on how to make your diet less inflammatory. Try to buy organic – insecticides, preservatives and other food additives may be inflammatory or even trigger Birdshot. Besides, organics taste better! Most sources choose red wine over other alcoholic drinks, dark chocolate over milk chocolate, and low fat versions of all dairy products. Foods best avoided altogether include fizzy drinks, crisps, processed meats, sweets and deep fried, fatty foods. Some people benefit from excluding ‘nightshade’ vegetables (potato, tomato, aubergine, peppers). Tomatoes in particular can be inflammatory. Others feel better if they exclude all dairy products – milk doesn’t agree with me. No two people are the same and it certainly pays to experiment. Note: Different foods and ingredients can be described as having a positive or negative Inflammation Factor. This is a way of judging which foods are more likely to cause inflammation and which are more likely to prevent it. Some foods vary in this respect according to how they’re prepared. For instance, garlic is very anti-inflammatory eaten raw but must be crushed to release the beneficial parts. However it’s much less beneficial after cooking. Further information can be found on the Inflammation Factor website, www.inflammationfactor.com. This is the first in a series of 3 posts about diet. It is written by BUS member Nick Bucknall. Nick is not a nutritionalist but he has taken a great interest in his own diet and and how it might possibly affect his eyes. The article is based on the information that he researched for the “Food and Supplements” stall that he and his wife Caroline ran at the 2nd Birdshot day last March. Here he explains why he believes that changing your diet could help you control Birdshot. “Birdshot is one of many inflammatory, auto-immune conditions. It is rare but seems to have much in common with more frequently encountered conditions such as rheumatoid arthritis, Crohn’s Disease, Lupus and Psoriasis – certainly the same drugs are widely used in treatment. It also seems good sense to find out what else besides these drugs has benefited people with these similar conditions – after all, there are literally millions of ‘them’ and only a few thousand of ‘us’. Birdshot is also relatively new. As far as we know, we are the first generations to be affected, and it has only been observed in people living a modern lifestyle in the developed world. Nobody knows what triggers Birdshot but it is difficult not to wonder if a modern disease might not have a modern trigger? Obviously, much research needs to be done but if we look to our fellow sufferers of auto-immune, inflammatory disease, the overwhelming advice seems to be that inflammatory conditions can be helped by close attention to diet. I know a healthy lifestyle and diet are not a substitute for medical treatment but can greatly reduce our dependence on it. We all benefit from a healthy lifestyle – regular meals, exercise in the fresh air, a good night’s sleep and the avoidance of stress, etc. Nick’s second post which follows talks about how to make your diet less inflammatory. the foods to avoid and ones to eat lots of. Winter Benefit – tickets now available! We are thrilled to announce that tickets are now available for our first Winter Benefit – it promises to be a fun evening and a great excuse to get together, party and raise much-needed funds. The evening will commence at 7.30pm with a champagne & canapé reception, followed by a three course dinner with wine, and dancing until the early hours! 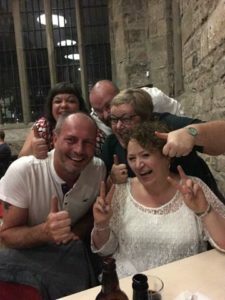 Easyfundraising.org.uk – please sign up and raise funds for free! This website does exactly what it says – you can raise money for BUS every time you shop online and it won’t cost you anything, it’s that easy! Simply sign up at www.easyfundraising.org.uk and specify “Birdshot Uveitis Society” as the charity for which you are raising funds, then every time you make any purchase online you just need to do so via the easyfundraising website and the retailer will automatically make a donation to BUS. There is absolutely no cost to you, the site covers all of the major online retailers, and BUS benefits from a donation. I recently booked the flights for a family holiday this way and we just got a donation of £17.85! Please, if you do even a little shopping online, sign up today, we really do need your help! 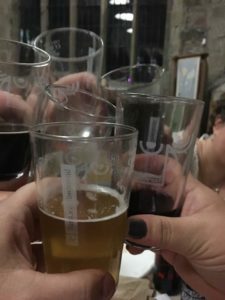 London/SE Meeting 21st January – more details! Happy New Year! We hope you had a good festive season. We are looking forward to seeing everyone on 21st January from 1.30pm at St John’s Hall, New North Road, London N1 6JB. We will be providing tea, coffee and biscuits. Exit one, go up stairs to the right and stay on that side and keep going straight. Next sign Haberdasher Estate also there is a Barclays Bike station and a Tesco Express. At top of the road turn left into East Road, you will see Tesco Express and a set of traffic lights with a green coloured shop on corner. Go left towards Angel, cross the road at the traffic lights, there is a cafe on the corner. Get 394 bus from the stop opposite the police station to Minton Street which is about 5 bus stops. Get off the bus at Minton Street and go right past the Beehive Pub. Walk up to traffic lights, turn left into Murrey Grove, half way down there are some shops. If you are definitely planning on coming on the 21st please could you reply “yes” to southeast@birdshot.org.uk so that we have an idea of numbers and please could you also let us know if you are travelling from Kent. If you need any further information please do not hesitate to contact us, we hope to see everyone on the 21st. 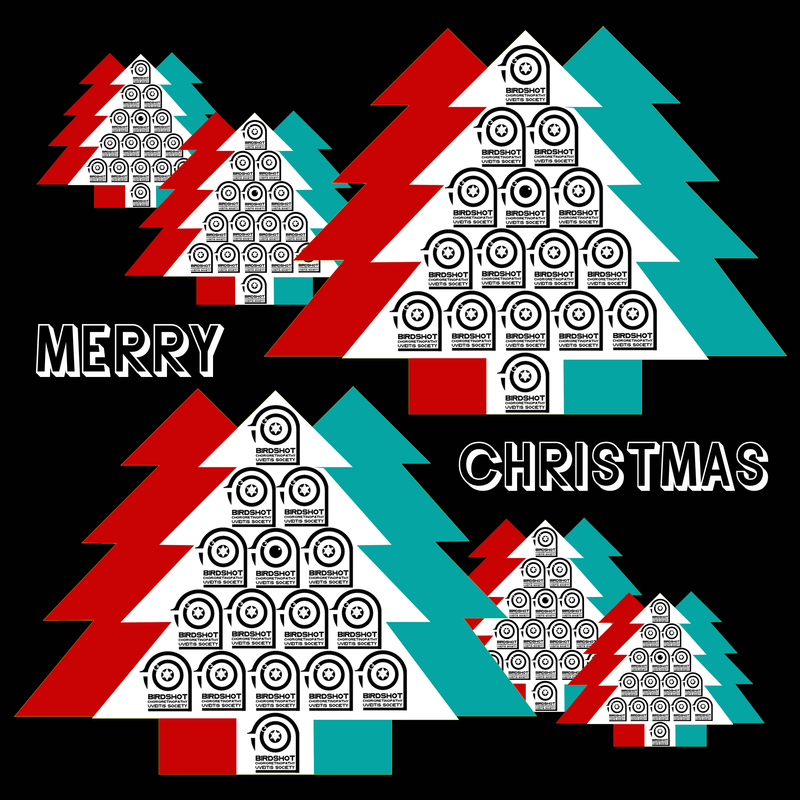 We would like to wish all Birdshot Uveitis Society Members a very Merry Christmas, with all good wishes for the New Year. An Australian Birdshot colleague of ours called Neil, recently wrote to us to tell us about his experimental approach to supplements. He has been trying to find a way of improving his vision through supplements and told us why he had decided to do this. Over the years he has been on a number of the usual toxic treatments. Following a recent flare he was put on prednisolone and methotrexate. He reports that after some months on the methotrexate, a wavy line suggested his eyes were continuing to deteriorate and 15 mg/day of prednisolone was added for a couple of months after an ERG result showed rods were bad; cones were indicating nobody home! Here is Neil’s story in his own words (much of what he says will ring bells with many of us). “I noticed an article http://abstracts.iovs.org/cgi/content/abstract/43/12/2542 on increased retinal activity following a trial of a group of people taking lutein, nicotinamide (vitamin B group) and vitamin E, so thought I might as well try it for myself to see if it made any difference to my ERG tests, on the assumption that it would not have a negative effect. To mimic the study, I took a bilberry and lutein tablet, a multi-B and vitamin E tablet. In addition I took folic acid in the Multi-B which I understand helps with tolerating Methotrexate. The ERG in January and check up in March showed that the left eye reading level had returned to the level two years previously (couple of extra lines) and I am seeing a little more when I enter a darkened room. Retinal inflammation has gone with prednisone and I can read with my left eye again. So all I can say is the lutein, nicotinamide and vitamin E didn’t harm my outcome. Here are the details of what I took. I also used Nutralife Bilberry 10,000 plus + lutein complex as the tablets were easier to take from a bottle rather than in foil. Subsequently my GP recommended I increase the folic acid to 5mg/day to counter methotrexate effects, but the improvement was evident before then. I was on 10 mg methotrexate once per week for a few months after complaining of loss of central clarity in left eye and an ERG test that showed basically non-detectable response to rods and cones with some small response to flashing light, but not for night vision. Some wavy lines at the edge of the computer screen worried me and a scan showed some retinal swelling in central left eye, so (reluctantly) I added 15 mg/day prednisone. Coming back from a fishing trip I noticed light poles bent half way up – 1m to the right through my left eye, so I boosted for a few days to 20mg/day prednisone to try to cheat on my ERG. After verbally savaging my 20 year old son and snapping at my wife, I admitted defeat and reduced the dosage of steroids. Stayed on 12.5 mg/day prednisone for a couple of months and bent poles went away – slight horizontal bump in reading 12 point letters but left eye continues to improve and down to 10 mg/day prednisone. Eye section scan showed rods and cones in left eye looking reasonably normal thickness in parts of scan which is interesting as I feel my peripheral vision has improved in that eye. Eye chart was about 2 lines better with pinhole as glare still a problem so I’m back to 2009 levels on the irrelevant eye test. My choice of sunglasses has changed from dark grey or yellow to light grey polarised and I can almost say glare tolerance is improving as a consequence of this choice for driving. Can’t say if prednisone or supplement has contributed to improvement but I continue to take both as the trial lasted 12 months and I am 7 or 8 months on from trying it. Anyone out there with symptoms that don’t seem typical for Birdshot? How many people are affected in just one eye? Many consultants believe that Birdshot is bilateral (i.e. it affects BOTH eyes) and would not diagnose Birdshot if it affects just one eye – do we think this is true? If it is not Birdshot, then what is it? How many people have pain in their eyes? Birdshot is thought to be painless. I know that I have very painful eyes, particular if I move them (shooting pain deep in the eye), and I know of at least two others who say the same. Anyone else? How many people have been diagnosed with Birdshot but do not test positive for HLA A29? Again, some consultants would refuse to diagnose Birdshot if there is no HLA A29 positive test. What do we think? How many people have strange visual symptoms which baffle their consultants? For example, I seem to have images left on my retina for a long time. I will put my keys down, and then I see my keys on a range of other surfaces as I look around, making it very difficult for me to find my keys again! I also have illusions – I will be walking down the street, and I will see a very large cow walking towards me – impossible, I know. What I think is happening is that there is a large shadow, and my brain tries to make sense of this by accessing its filing cabinet to find something of that shape and size, and interprets it as a cow! How many people have found that their brain seems to have slowed down when trying to see? For example, I will look at my emails, and although I can ’see’ them, I cannot actually read them – the mass of information in a long list just does not compute in my brain – its seems like gobbledegook – although if I look at individual words, I can make them out – I just can’t make sense of the totality of it. Any other strange symptoms people have? Or things that seem atypical of Birdshot? We are trying to understand the complexities of Birdshot, so it would be really good to hear all your stories. That way, we may be able to understand whether people have been possibly misdiagnosed, or whether Birdshot presents quite differently in different individuals, or whether there are a range of other problems that masquerade as Birdshot. As always, we want to thank you for your interest in Birdshot and this website – we have had a huge influx of new members recently and each new member brings more knowledge and understanding of Birdshot. Thank you all, and we would be grateful for your feed-back on atypical (or typical) signs of Birdshot.